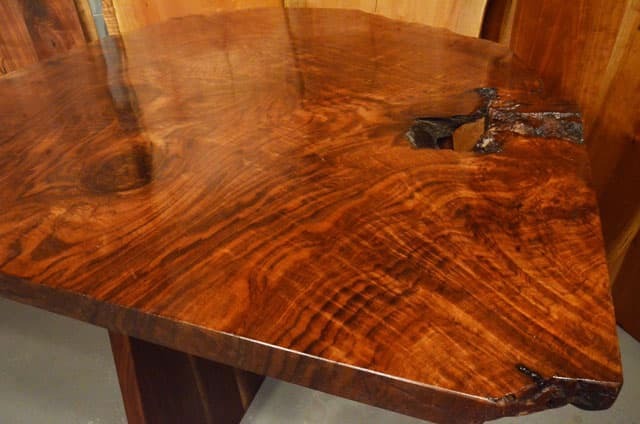 This Custom Table was made to order using burl claro walnut. We also cherry and maple and other exceptional woods!!! Call today for a quote on a custom desk made especially for you or choose a custom desk from our gallery.